HEKARI United’s Freddie and Archie Kepo served notice that their brotherly act may be the one to watch as the pair led their side to a 2-0 win over Central United on Saturday. 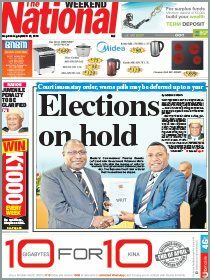 The trial victory over the newcomers in the NSL Southern Conference was a foretaste of things to come from the former champions ,with all their key men including captain David Muta and Koriak Upaiga getting a run in the friendly at Port Moresby’s Bisini soccer grounds. 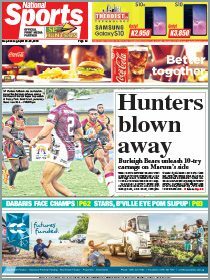 In the other trial of Southern Conference rivals, debutants Bougainville showed the advantage of being sourced from one team (Mungkas) with a 3-0 dismantling of Milne Bay’s Eastern Stars. The Kepo siblings acquitted themselves well against a committed Central outfit, scoring goals for the Reds. Despite the loss, Central head coach Kila Babaga insisted his side were good enough to vie for a top two spot in the conference. “We are here to get match fitness and from the trial I can say we’re fit enough to compete in the NSL and can be one of the best in conference,” Babaga said. Babaga said he was pleased with his side’s effort in containing Hekari. He said he thought his 22-man squad had the talent and stamina for a good debut season. Babaga said the club was committed to promoting and developing talent from Central and he was happy to see them in a competitive clash against arguably one of the best teams in the country. Babaga said Central United was ready to take on the best of the Southern region and their aim would be to make the playoffs. “We are going in as one of the underdogs but I know what this team can do so we’re confident,” he said.